Sen. Joan Carter Conway gained 60 votes after Thursday’s count of absentee ballots, but Delegate Mary Washington’s lead appears solid in the hard-fought primary in the northeast’s 43rd District. Conway’s deficit of 469 votes will be almost impossible to overcome even after next week’s count of provisional ballots and a second round of absentee votes. The defeat of the 67-year-old Annapolis fixture has astonished the Democratic old guard. Thomas V. “Mike” Miller Jr., no youngster himself who has served as president of the Maryland Senate since 1987, had counted on Conway’s support in her powerful post as chair of the Education, Health and Environmental Affairs Committee. Conway is also a close ally of Catherine Pugh, 68, who shared the Senate chamber with Conway before she became Baltimore’s mayor. Pugh conceded after the primary that “there was quite a lot of turnover” in the city’s delegation, while Conway has characterized her probable defeat – she has not yet conceded – as hurtful to Baltimore. “There’s nothing going to change for Joan. 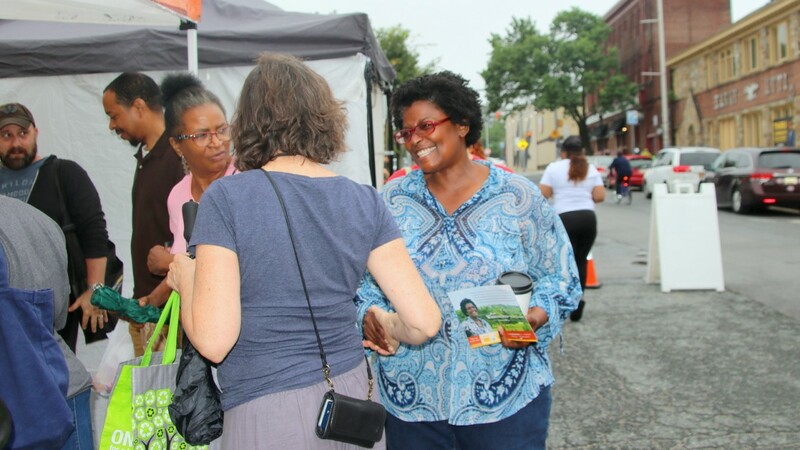 Something will definitely change for Baltimore City” – Joan Carter Conway. During the campaign, Conway touted her ability to secure education funding for the city, but Washington said those efforts were not enough and attacked her opponent on an issue that arose late in the race. Published reports on allegations of sexual misconduct and harassment by 43rd District Del. Curt Anderson noted that Conway had known about the matter months earlier and kept quiet. Anderson held onto third place in the three-member district in Tuesday’s primary. He appears to have enough of a lead over fourth-place finisher Nilesh Kalyanaraman to survive a provisional and absentee ballot count next week. Conway and Washington also butted heads over water bill tax sale legislation, with Washington saying the bill she introduced was killed by Conway (assisted by Pugh) in favor of weaker legislation. Two other longtime Baltimore politicians lost out in Tuesday’s polling. In the 40th District, Antonio Hayes, 40, defeated 80-year-old Barbara A. Robinson, a former delegate who was appointed to the Senate seat when Pugh became mayor in 2016. Nathaniel J. McFadden, 71, a member of the Senate since 1995, was knocked out of his 45th District perch by Del. Cory McCray, 35. Tuesday’s consolation prize for Pugh was Jill P. Carter’s victory in the 41st District. A former delegate, Carter was appointed director of the Office of Civil Rights & Wage Enforcement by Pugh in December 2016. Last month, she resigned the position to take over the 41st Senate seat vacated by Sen. Nathaniel T. Oaks, who had pleaded guilty to federal corruption charges. On Tuesday, the 54-year-old brushed aside J.D. Merrill, a young educator and son-in-law of former Gov. Martin O’Malley, to retain the seat.